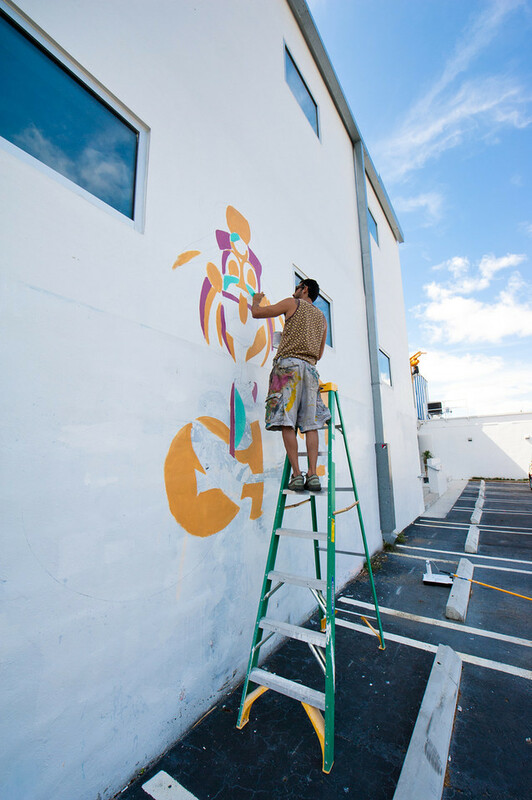 When Ketel One commissioned a mural from me I was extremely flattered and excited. When they said they wanted to have some of Miami’s premier bartenders assist me I was thrilled. Not only would we be able to embark on a wonderful, creative experience together, but I’d also have a great group of assistants to help make my job easier. With about 20 bartenders in attendance, we spent the day discussing the creative process, life, personal philosophy, love and laughed a lot. The end result was something we were all happy with.